This level have again little hard difficulty plus need luck with good strategy to complete this level. For this level first try to break top jellies as blocker could automatically come and it could be hard to break them later. 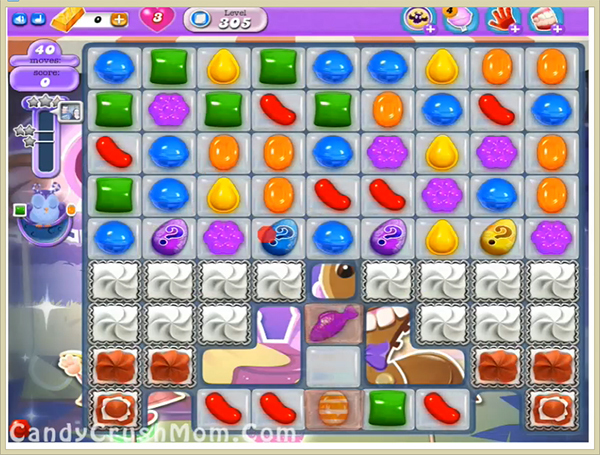 Use striped candy or other special candy with balancing the Odus owl to break the jellies or blocker. After moon struck try to make colorbomb and break them and if you will have good luck then you will get more special candies and it will help to break all jellies within less move with good score. We completed this level with 613140 score using special candies and combo with balancing the Odus owl plus got three star score and reach requirement before 14 moves.